Apple has released a minor iOS software update for iPad, iPhone and iPod touch, promising fixes for minor bugs. iOS 4.3.2, available today when you sync your device with you computer, will put an end to the FaceTime issue which has seen the app ocassionally freeze or display a blank screen during calls. It'll also solve the connectivity bug which saw some iPad 3G owners struggle to connect to local 3G networks when on the go. iOS 4.3.2 will also contain the latest security updates from Apple. 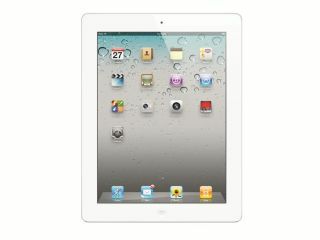 It is as yet unclear whether the update fixes the problems experienced by some iPad 2 3G owners using the US network Verizon Wireless. Apple has this week confirmed reports from users complaining of the need to re-start their device in order to enable 3G connectivity after disabling it. iOS 4.3.2 comes just a couple of months away from Apple's WWDC in June where it's possibile that we might get the first look at iOS 5.